This week Trip Advisor released a list of the best twenty five beaches in the UK. We are spoilt for choice on these beautiful islands with some of the best beaches anywhere in the world. Four of the beaches on the list are places I know well – three of them owned by the National Trust (Godrevy, Rhossili and Barafundle). They’re all pretty different but resonate in terms of what makes a good beach. Top of my pops would be Barafundle in Pembrokeshire (number 14 on the list). We spent a day on this beautiful beach last summer. My memory from that day is swimming in the cold August water and feeling so alive and refreshed; an experience you can’t put into words. And the kids loved the sand dunes slipping and sliding over them. This beach could be in the south of France and I remember taking a relative from Australia there and she was blown away by it. Then there is Porthminster in St Ives (number 5 on the list). One of four beaches in this wonderful Cornish town. What a beach. Not that big but a great spot. We spent many an hour body boarding and jumping into waves last summer. On the penultimate day before we left for week two in Wales, we were on the beach alone before 9am as the cold morning air swept in. Hot chocolates were the order of the day. Across the bay from Porthminster is Godrevy (number 22 on the list). A classic Cornish beach, ideal for surfing and where the tide races in. The rock pools are great and the low beach is a great atmospheric place what ever the weather. Its a beach to blow away the cobwebs and feel the full force of the Atlantic: magical. 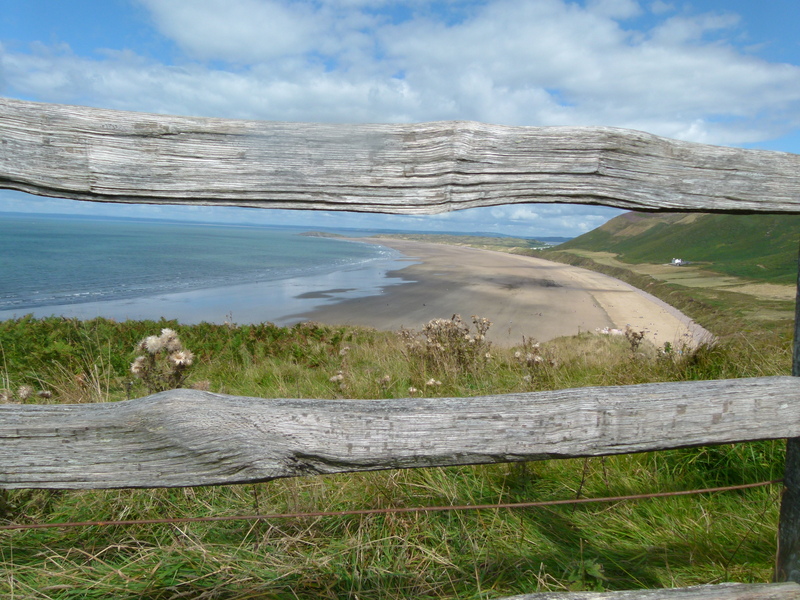 And last but not least is the majestic Rhossili on Gower (number 3 on the list). What a beach. Every time I visit it I’m blown away. Three miles of pure golden sand, steep downland and a sense of total connection with seas. Standing on the footpath to Worms Head and looking along the beach has to be one of the best views in Western Europe! All of these beaches reflect something really deep for us Brits: that strong and lifelong connection with the sea. We need the sea and the feeling of the sand between our toes. Its what defines us and has shaped our identify. They are places to dream, they are places to switch off and they are places to play and have fun.